After months of posturing and heavy-handed rhetoric, Seattle-based Amazon has officially waved the white flag and will raise its e-book pricing for most new releases and bestsellers from $9.99 up to $14.99, according to the Wall street Journal. It was a good fight, but ultimately a doomed one. 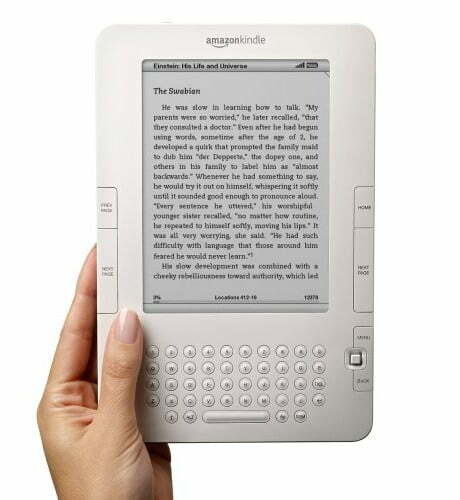 Amazon, maker of the popular Kindle e-book reader, had been offering e-books through its site since the Kindle’s release in 2007, but publishers were unhappy with the arrangement, claiming that it devalued the books. With the impending release of the iPad and the Apple iBook store, plus the rabidly loyal Apple fans willing and eager to pay for e-books, publishers found new leverage to use against Amazon, who had the market more or less to themselves. In February, publishing giant Macmillan demanded Amazon raise prices or risk having new titles delayed as much as six months or more. In response Amazon removed all e-book content from its site in what was a great moral victory, no doubt, not much more than that. Within a week the final e-nail in the coffin came when publishers Hachette and HarperCollins also announced to switch their pricing models and raise their prices to up to $14.99 as well. With Apple quietly negotiating separate deals with the publishers to use this higher cost model to fill their library for the impending iPad launch, the death of the $9.99 new release e-book was assured. Today the rhetoric ended, and Amazon officially agreed to raise prices as they signed agreements Simon & Schuster and HarperCollins. With the signings, Amazon guarantees that they can compete with the iBook store, ending one paper pricing war, and beginning another that may determine the future of the fledgling e-book technology.